You must make reservations at least 5 minutes in advance of the time at The Sandbar Waterfront Grill. The marina and the Sandbar Waterfront Grill are owned by two local businessmen, Robert Troup and Ken Troup. Rob and Ken, together with their management team and staff, invite you to join them to enjoy this hidden waterfront gem! It is our absolute commitment to our employees, suppliers, guests, and the community at large that makes the Sandbar so unique. Using local growers and suppliers as often as we can, we promise to tantalize your taste buds with our fantastic menu of favorites and some new menu items as well. While we are known for our perch specials, our wood burning oven pizzas have fast become another favourite. Our steaks, chicken, ribs and other new menu items guarantee there is something for everyone at the Sandbar! ½lb grilled burger topped with lettuce, tomato, pickle & onion. 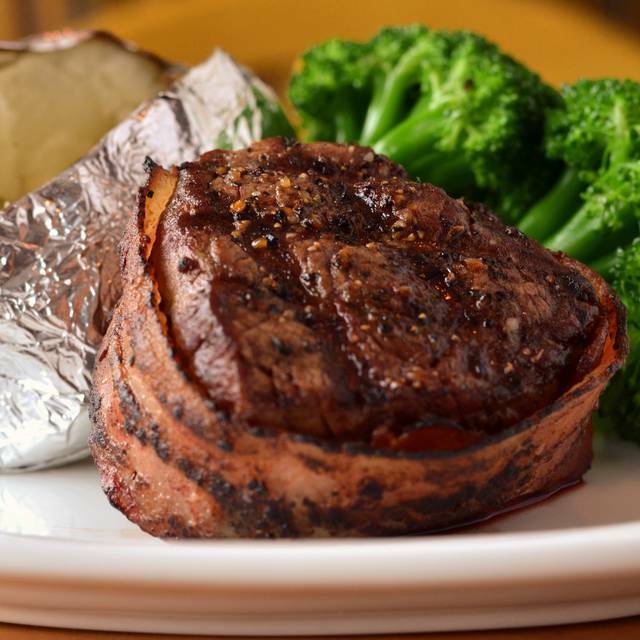 Ask Your server to make it Cowboy Style! We had a great experience. Jen was great. We will forsure be back. Not so much variety on the menu, many things out, server was cool, but over all experience was lacking for the price. Excellent homemade food, good ambience and service. Very good value overall. I live in Toronto and have dined at many restaurants from Toronto , NYC, but I love the homey experience that Sandbar brings when I come to visit my family. Good Friday dinner was excellent. Service was quick and the food came out in a timely fashion. Would come back again for Goid Friday. 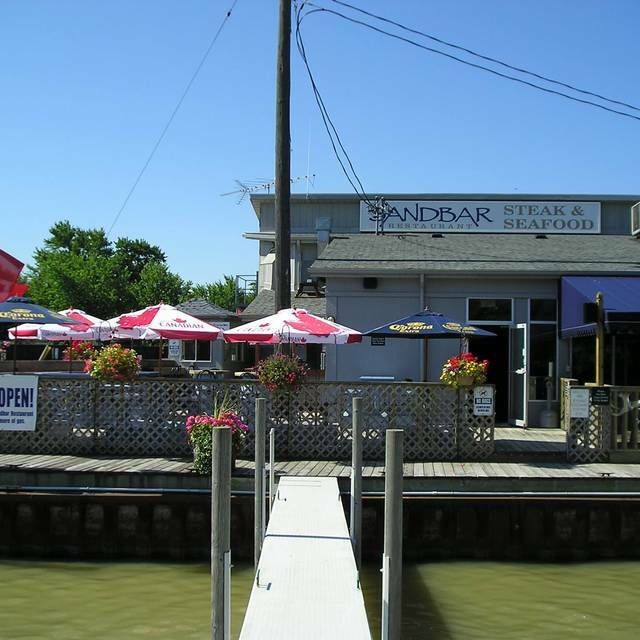 We always enjoy a pleasant experience when we go to the Sandbar, so this time we brought 2 couples with us who have never been there before and they were very pleased with the food, service, and atmosphere. I'm sure they will be back for dinner again. And for sure we will. Thank you for continuing to provide good service and good food. Great food, view and hospitality! I would highly recommend. Our food was delicious. We had the best soup ever. Cream of mushroom was the soup of the day and the crab chowder was outstanding. Our server was such a lot of fun. Great personality and customer service. I love this place.we are from Toronto and visit when we are in town visiting family. Can’t wait until summer patio season. Both perch dinners were delicious. Portion sizes are very filling. Good value. Nice atmosphere inside and out. Good friendly service. Food was good as well. An enjoyable evening. Very cozy and clean, service was great and the food was hot & great. Will definitely go again. My husband took me out for my birthday dinner, the service and food were both fantastic, the manager on duty made the effort to go around to tables and make sure everything was to everyone's satisfaction. It is not our first trip there and won't be the last. We enjoy going there for the food and ambience. This restaurant is overpriced for what you get. 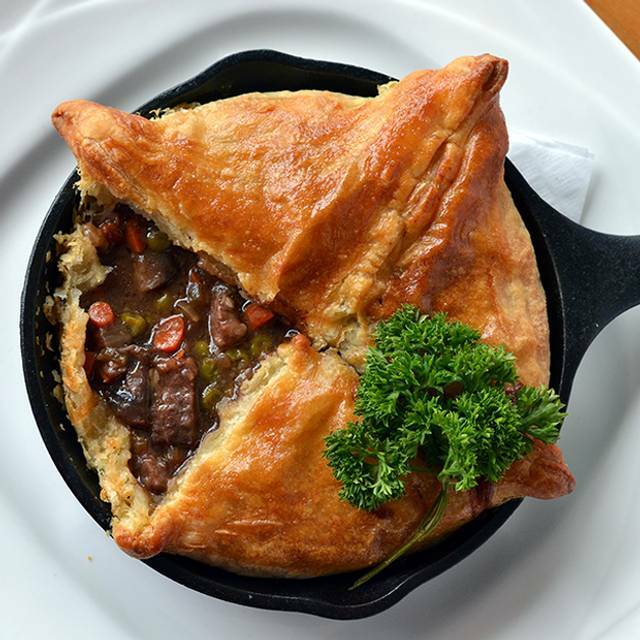 With such a large menu, it would be impossible to really master all of their dishes. The Sandbar should either charge sports bar prices, or improve their cooking to match what they are charging. Very good service and food was delicious. We always enjoy our dinners at the sand bar. Perfect meal and our server was very pleasant and efficient. Management even stopped by our table to ask how dinner was and to ask if we wanted more coffee. I was pleased that in addition to a special Valentine menu you could still order of the regular menu. Excellent perch for a great price ! The waitstaff is always friendly and always help each other. WE WERE WELL TAKEN CARE OF BY OUR SERVER, SHE WAS VERY POLITE, AND ATTENTIVE. I HAVE BEEN THERE ON MANY OCCASIONS, AND HAVE YET TO BE DISAPPOINTED. We enjoyed a wonderful evening for dinner with our table of 8. With it being the holiday season there were several large tables so although it was a little louder than it might usually be, we were still able to enjoy our meal and conversation. The waitress gave us outstanding service and I believe everyone really enjoyed their mails. The only perhaps negative comment was in regards to the scallop appetizers, a few of us found them especially salty. I had the 2 for 1 boneless wings. They had a lot of batter on them and were over cooked. They were very hard to eat they were so tough. Always guaranteed a great meal for date night! Fun and relaxed atmosphere. It was an overall good experience. I called the next day because I believe I lost a Pandora bracelet there with a value of close to $500. I was told by the young lady that she would look and call me back, but there has been no return call. This bracelet is important to me. I would appreciate a response. Thank you for your feedback Richard. We're very sorry that you have misplaced a valuable item. We have checked with our management team at the operations level and it was confirmed no bracelet was found at the restaurant. Best of luck in locating your item. Food was overly salty, especially the Steak Tip appetizer, the fish tacos were not tasty, the Chicken Fricassee was average at best and the thoughts at the table was we do better food at home. To finish off, we decided to try the Creme Brulee. A true test of the chefs skills was unfortunately not displayed as the supposed hard sugar was just barely solid and very flexible. I also found it interesting that their too option was set at 18% or other. Maybe we chose the wrong food but we will not be returning again. Thanks for bringing these areas of improvement to our attention. We're regretful to know the quality of the items you mentioned was not up to par. We would have loved the opportunity to rectify by offering you alternative items if these were not enjoyed had we been made aware at the time of your visit. As it pertains to the tip out option, we have modified the choices to include 15%, 18%, 20% and other. The 18% was the default set by our credit card processor, it certainly was not the mandate. I had a wonderful experience going to the sandbar for the first time! They were not overly busy but the service was amazing and the food was delicious! I will definitely be back soon! Thank you for your wonderful feedback. We very much appreciate your patronage. Thank you for your insight on the band. We will definitely keep in mind when booking our next round of entertainment. We're regretful to hear service was not up to par but happy to know you enjoyed your visit with us nonetheless. 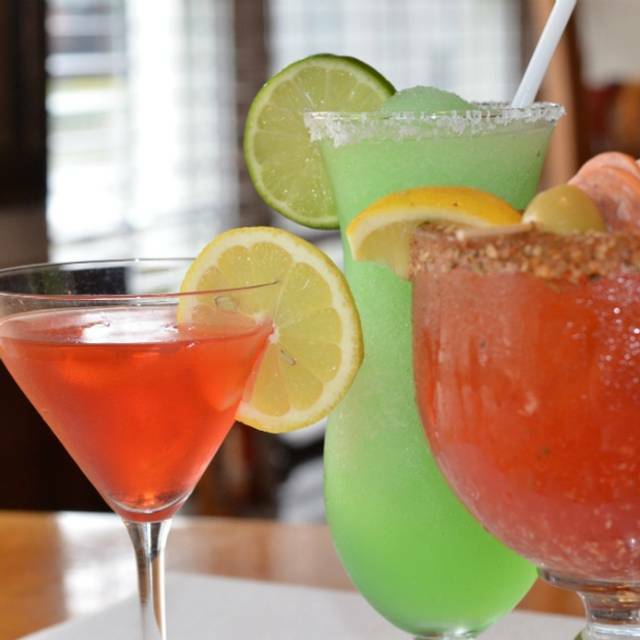 We enjoy going to the sandbar, for its atmosphere and great staff, as well as the food. They have a great selection of food and the portions are perfect. We enjoy the waterfront especially in the summer. On our last visit our waitress , Marlo, was efficient, friendly and attentive. The clam chowder was phenomenal and the waitress was kind, but the service was very slow and they were out of desserts that they said they offered. The portions were quite small considering the cost. Very underwhelming overall. The water “view” wasn’t a view of anything but boats at the dock. Pretty disappointed to drive 40 minutes for that establishment. Waitress took awhile to come take our order. We waited a long time (35 minutes) for our food. Restaurant wasn’t even busy. She never checked or reassured us. Felt ignored. My sisters burger was so dry she had to drink water after every bite. Friendly staff, fast and efficient service and great food. My wife was impressed that her steak was exactly as she ordered which never happens. Overall we were both impressed for our first but definitely not last time visiting. A bit pricey for the food. Perch was certainly not the best I had even though they rave they are the "best in town". Couple of the food items were over cooked. Waitress was excellent. Wine list is good and fairly priced. Note that on checking out, only option on interac machine is 18% gratuity. Our neighborhood restaurant - Love It ! 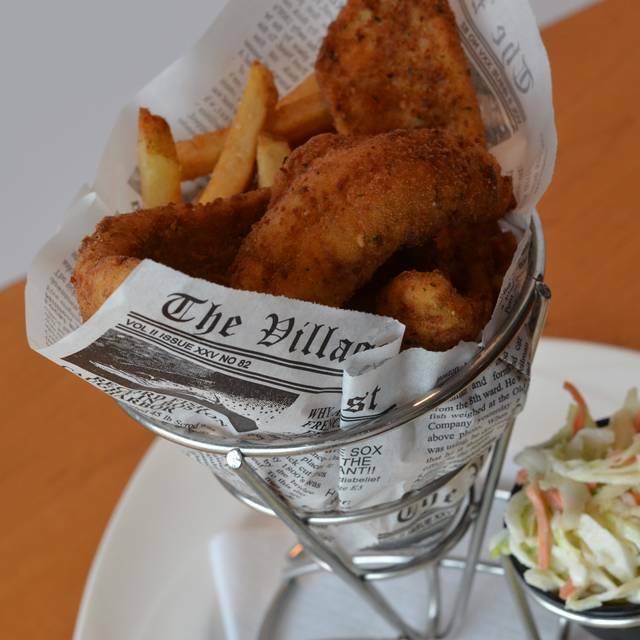 Perch is the best in Essex County - we have tried perch at several restaurants and Sandbar is the BEST ! Perch dinner was excellent (as always), sweet potato fries were great as well. The specialty drinks were REALLY good. One was blue (Electric 'something') and the other was purple ('something' Tickle) - I can't remember the exact names but both were fantastic. Food was tasty and service was good. Perch dishes could have been warmer. I will always rave about your restaurant. I have never had a bad experience. I choose here to celebrate my birthday, and I choose well. I wish I could dine here weekly! 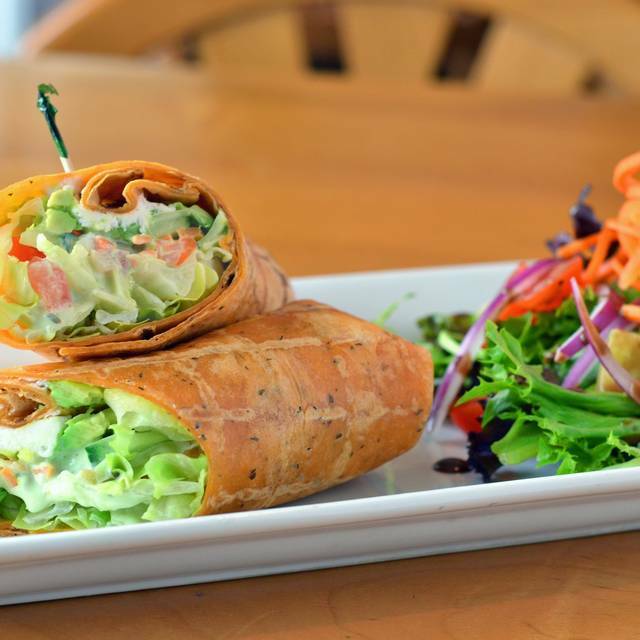 Your food, ambiance and wait staff are amazing. Keep up the great work and thank you for making my birthday a delicious one! We had reservations for 8 and unfortunately the waitress was not all that attentive. We had to keep looking for her.